The first home game of the season for Charnwood College saw them take on Manchester Mystics Academy, after a close encounter at NBL Under 18 level at the weekend. This match-up wouldn’t be as tight, as the Riders took a convincing 98-39 victory to improve to 2-0 in the Northern Conference. 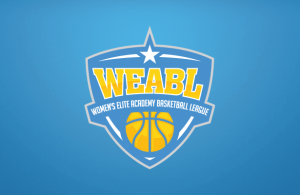 The was the first time that the two teams had met in the WEABL this season, which brought a competitive first quarter out of both teams as it finished 16-14 to the Riders. However, after a couple adjustments, Charnwood started to kick into gear which saw seven different players score and give Riders a 22 point lead at the half. The second half saw the Riders increase their intensity on defence which allowed them to get out and run the floor well. The home side really began to find their rhythm as they hit 10 three-pointers with good ball movement. The Manchester side continued to be compete physically, playing all the way through to the final buzzer. Holly Winterburn led the hosts with 18 points, supported by 15 from Rebecca Morrision and 12 from Holly Davies. Meanwhile, Jade Mbam had 11 points to pace Manchester, while Chloe Andrew chipped in 10. Charnwood’s will next game sees them host Nottingham Academy Wildcats on 28 November, while Manchester welcome Myerscough College next Wednesday.